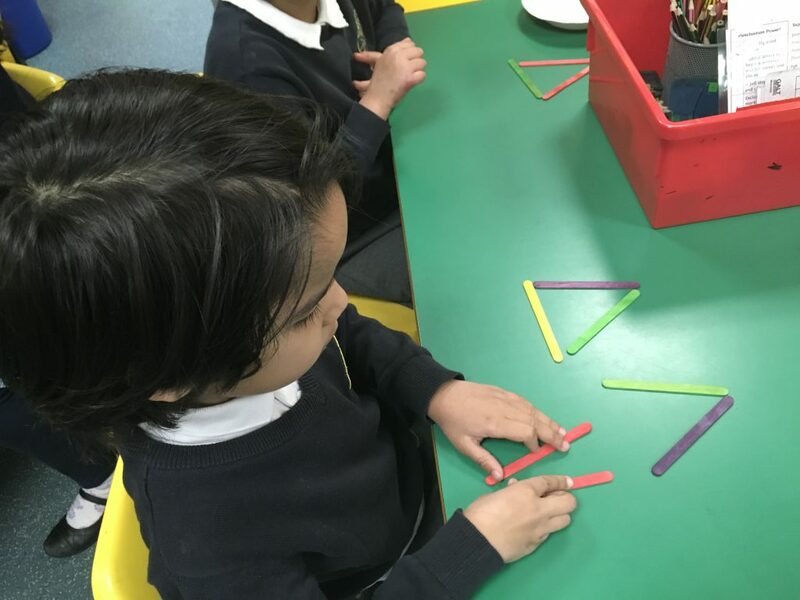 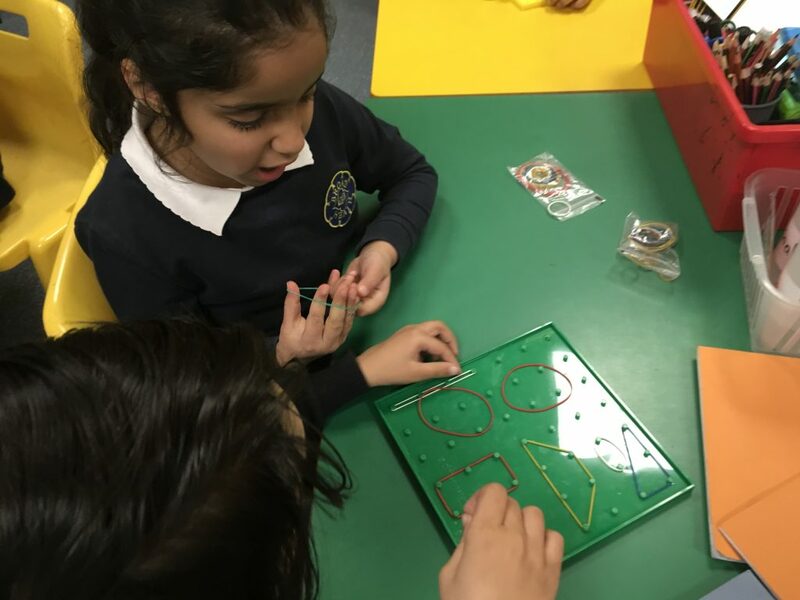 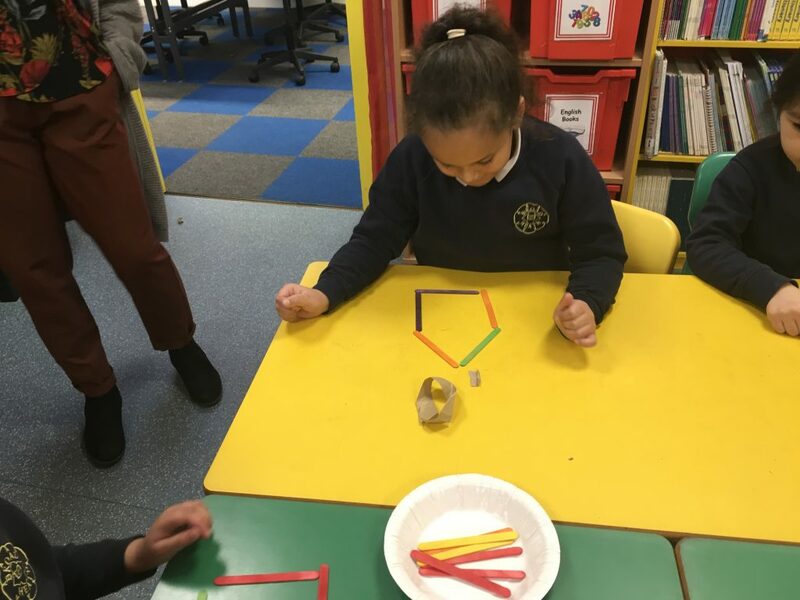 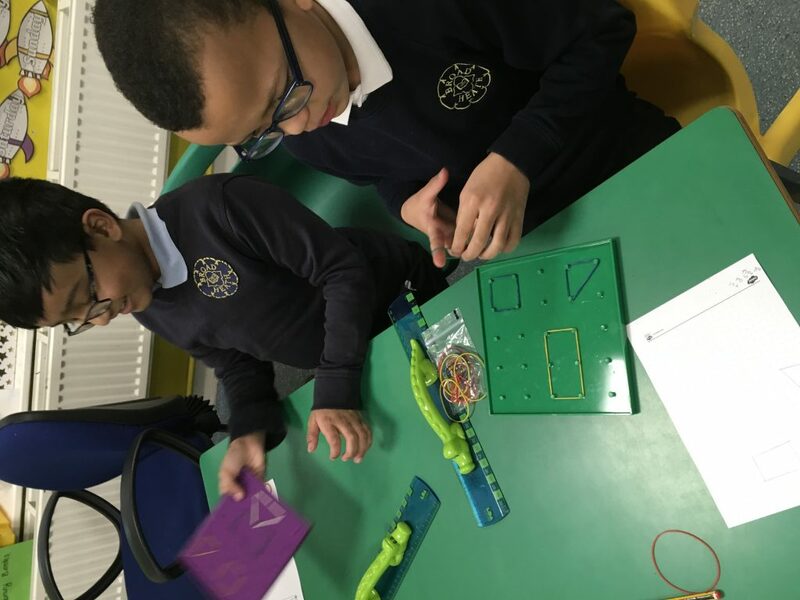 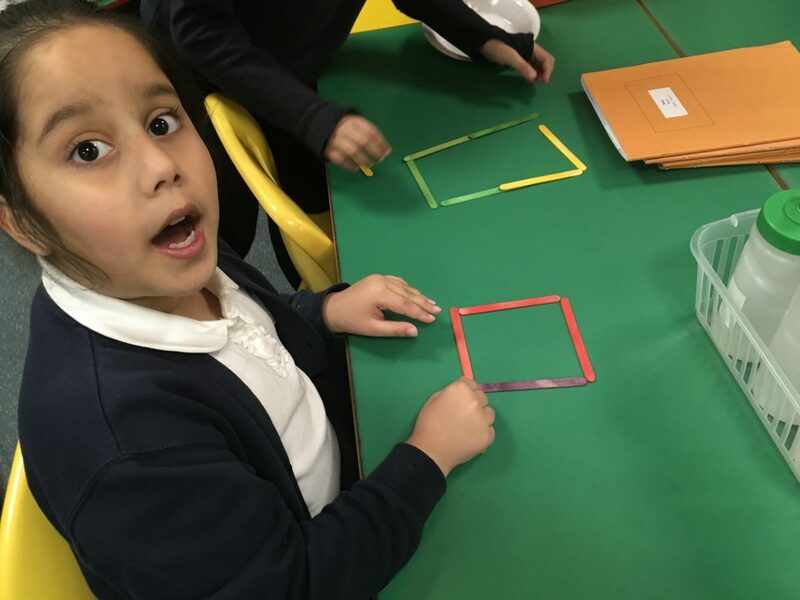 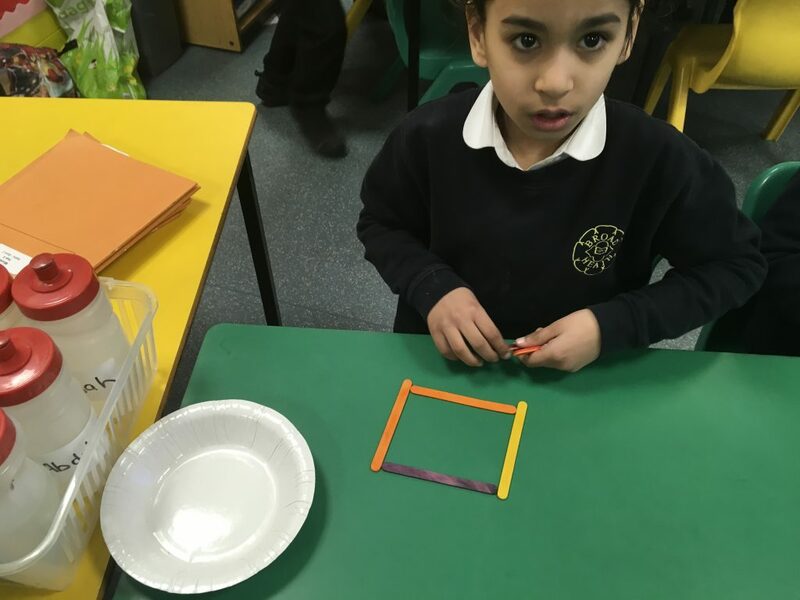 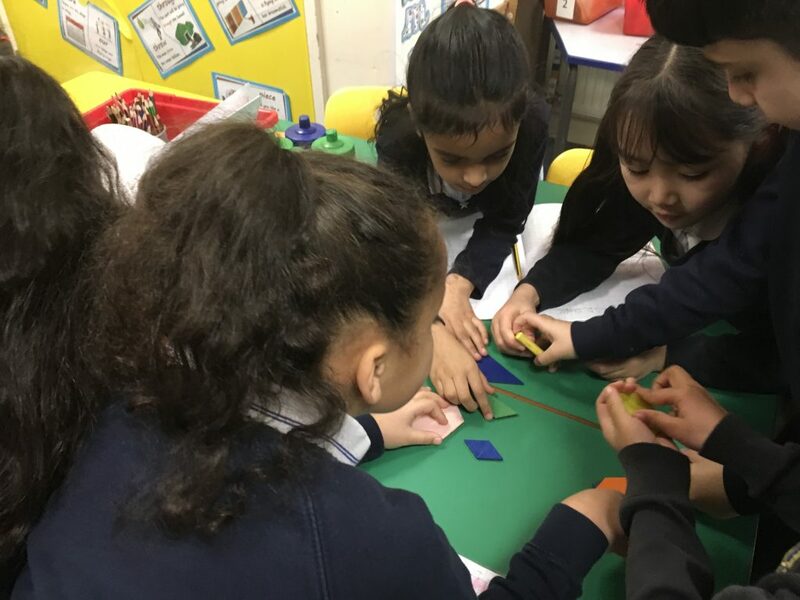 In maths this week we have been learning to identify the properties of 2D shapes. 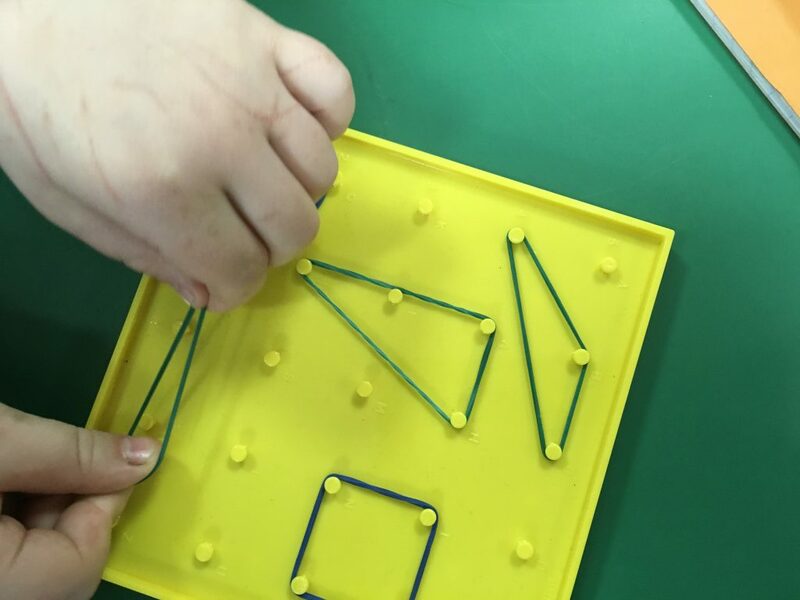 What can you tell me about the shapes below? 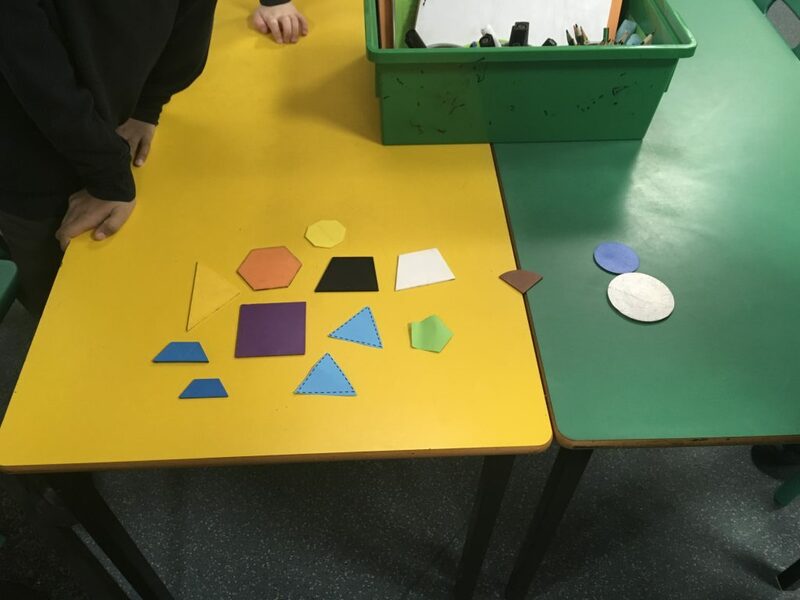 We worked together to group shapes by their properties. 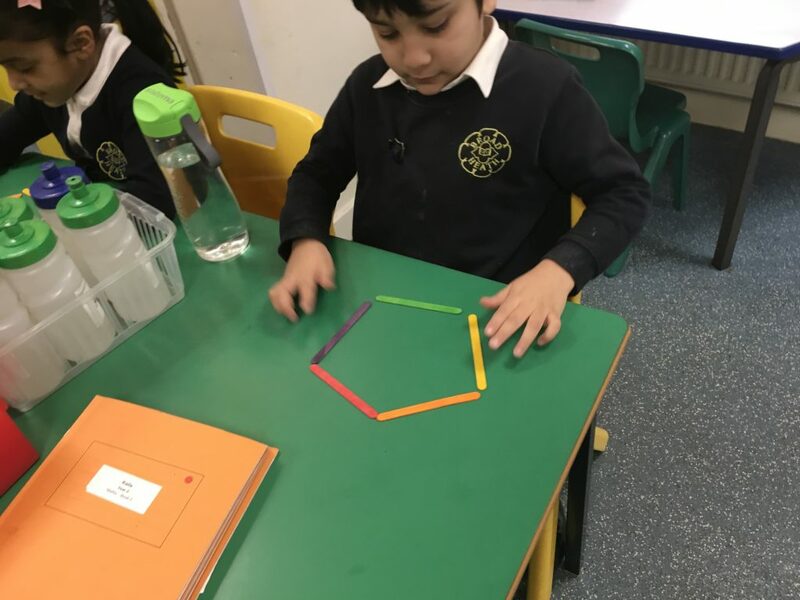 Explain how these shapes have been grouped. 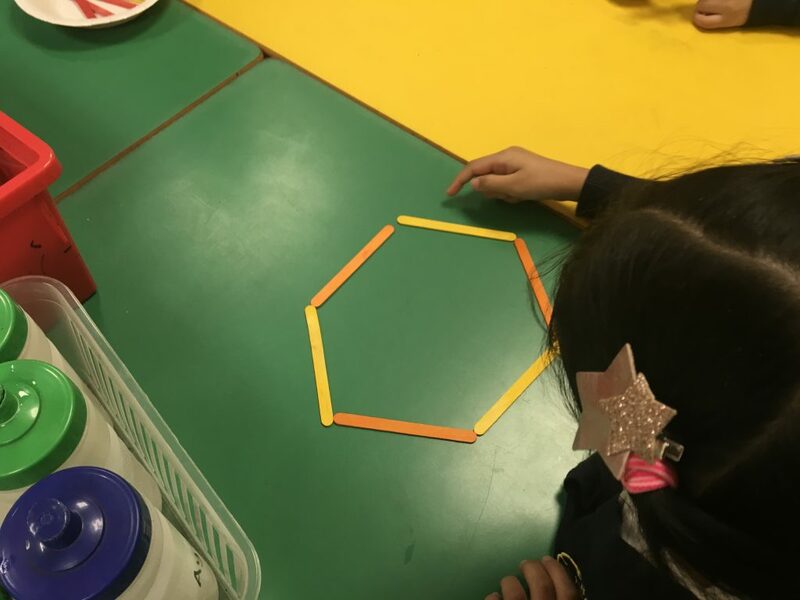 The shapes on the yellow table has straight sides. 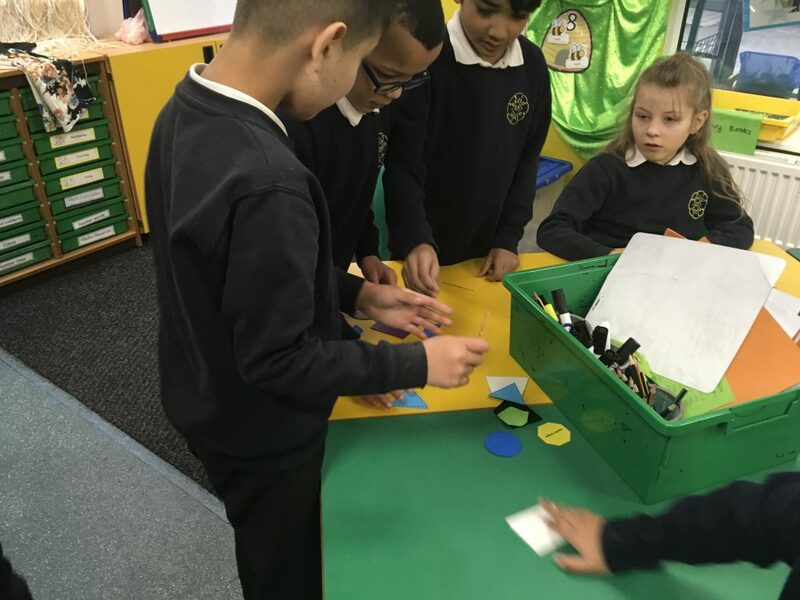 The shapes on the green table has circular shapes. 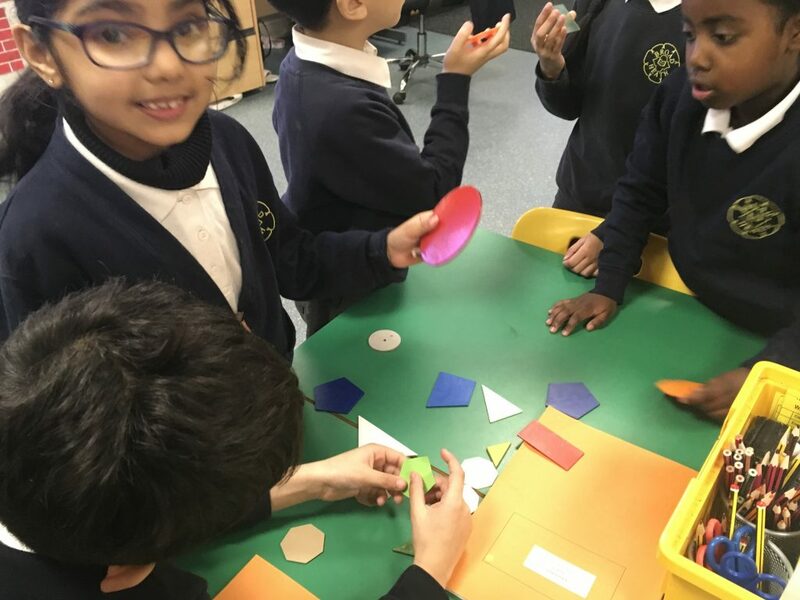 In the middle of two tables there is a shape which has both straight sides and circular sides.